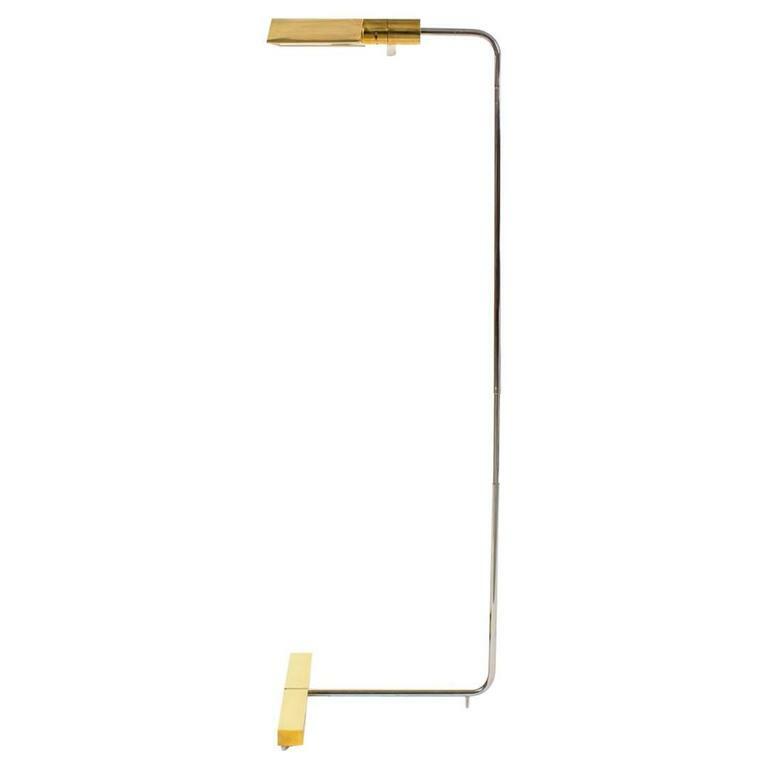 Rare pair of brass and chrome floor lamps designed by Cedric Hartman, circa 1970. Signed. Features a brass shade and base with polished chrome arm; complemented by Hartman's signature spherical Lucite on/off switch. This is an early model that is currently out of production. 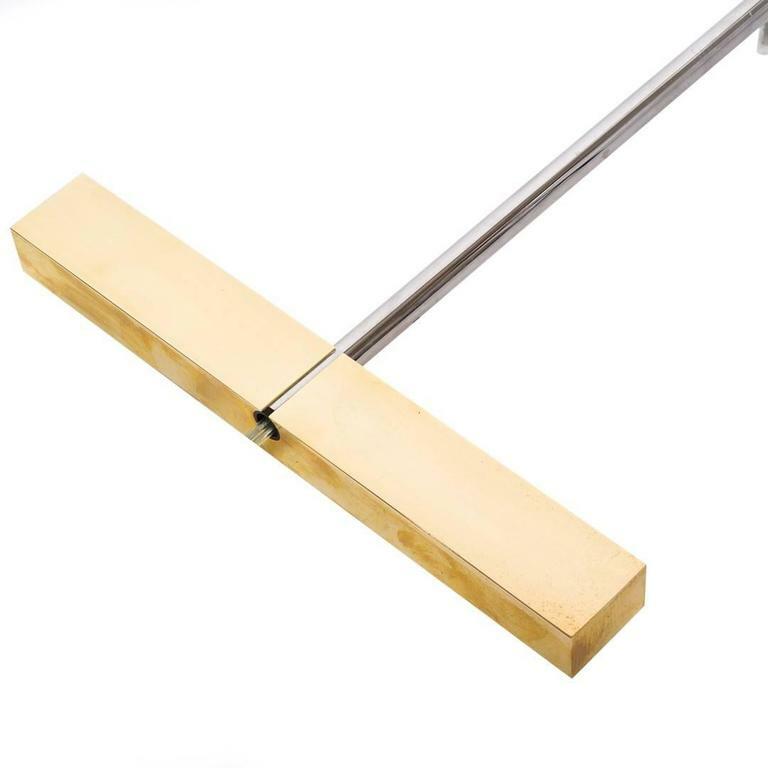 Original patina to brass; chrome finish is polished and clean. Light vintage wear. Some patina to brass. 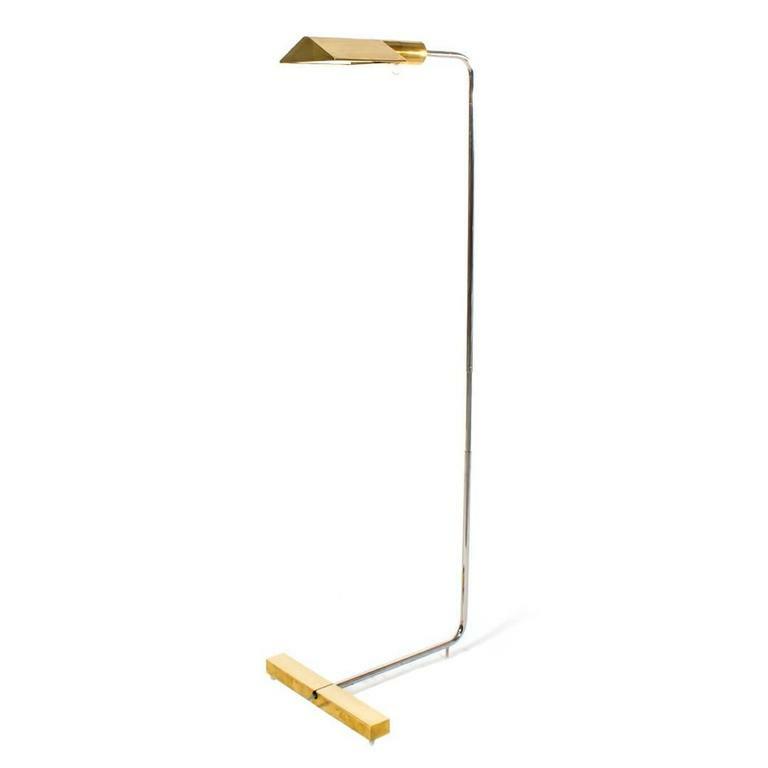 Brass floor lamp with square base and tulip shaped frosted glass shade. Made by Laurel. USA, circa 1960. 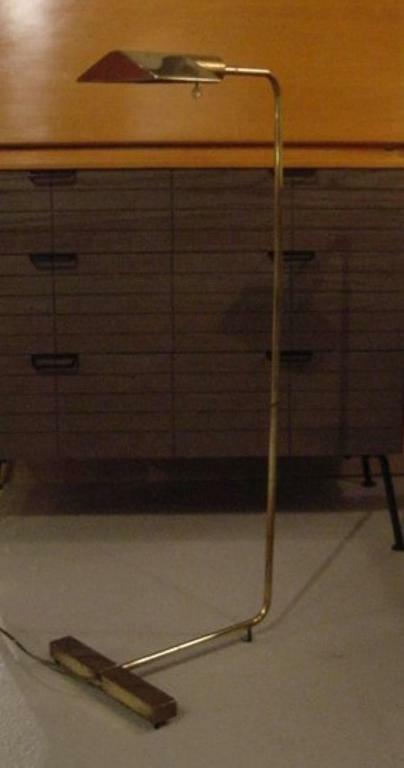 Cedric Hartman floor lamp, small scratches on the top and on the base. 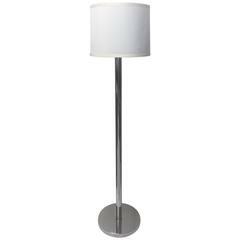 Superb chrome floor lamp in the style of Cedric Hartman 40 W max bulb. This is a great example of the pharmacy lamp by Cedric Hartman. 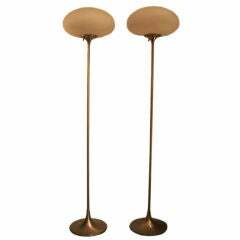 Pair of Cedric Hartman lamps in two-tone brass and stainless steel. Lamps are adjustable in height with swivel shades.